Happy Friday everyone! We hope you had a great week and are looking forward to a great weekend! Now it's time to announce the winner from last week's post and give you another chance to win! 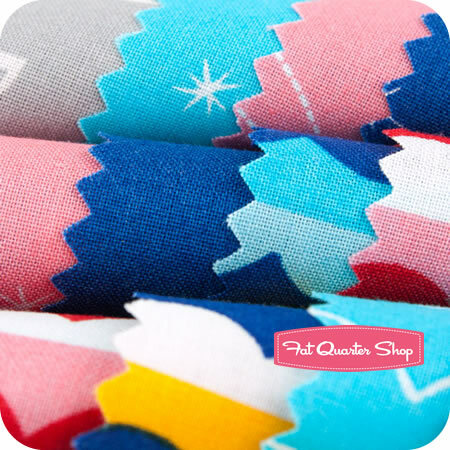 All you had to do for a chance to win was guess which pre-cut we were featuring...so if you guessed Metro Heaven & Helsinki by Patty Young for Michael Miller Fabrics, you were right! "It looks like Metro Heaven & Helinki by Patty Young for Michael Miller. Love that collection...the turquoise matches my newly painted turquoise kitchen! :)"
1. The name of this collection best summarizes all the oceans in the world. 2. The designers are passionate about using eco-sensible fabrics. 3. This collection will send you on an adventure! For a chance to win, leave a comment on this blog post with your guess as to what collection we are featuring! Contest closes Sunday, July 15th at midnight CST. The winner will be announced one week from today, in the next From Me to You feature. Good Luck!